When you watch singers on TV belting out high notes and then struggle to do it yourself, it can be very frustrating and at times it just seems impossible to do. However, I was able to get over my difficulties thanks in part to these techniques that I performed. Don’t squeeze your throat and just keep it relaxed, and at the same time you should perform warm up exercises. Reduce the air flow and try to find your support for your voice instead. When singing powerful tones, you need to find your support but not too much air. Drawing in too much air is one of the most common mistakes made so avoid it. You should also learn to manage your resonance and try to redirect it in front of your face. One way to do it is by putting your finger below your nose and try to balance and shift your resonance below and above your finger. When you do this you need to make sure it does not fall in your throat. You can tell where the resonance is by the vibration. Chose a pitch you like and softly whine “yay” but keep your tone in place. Now swell the syllable as slowly as you can. After you reach the highest volume slowly bring the volume to the original. Now do the same with the “aa”. Practice doing some vocal warm ups starting at your vocal range’s lower end. Now start singing the “oooh” and slowly modify this to “aah” and raise the notes. You should also learn to sing pentascales, which are the first five notes of any major scale you want up and down. Learn to sing the root, fifth and third of a chord. When you are doing warm up exercises perform the warm ups in a chromatic manner, that is half a step up. You need to perform these warm up exercises as often as possible. You should also hum during warm ups and try to feel the air as it moves around your face. You know you’re doing it right when you feel the vibrations around your face. If you don’t feel it then you are keeping your voice in your chest. When you do it right you will feel the air around your face and it helps keep vocal cords and throat clear. While these tips are going to help you get started and help get your voice on the right track it just isn’t enough to harness your full vocal power. I realized this which is why I went online and try to look for some help. I did a lot of research and the one that caught my attention was the Superior Singing Method by vocal coach Aaron Anastasi. 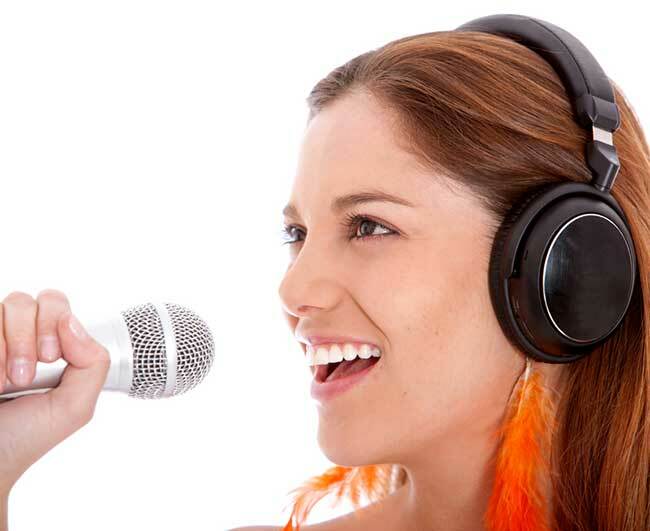 This is an online vocal training program that aims to teach you how to sing, step by step. The program is divided into several modules, one of them focusing precisely on singing with power and resonance. This module will teach you how to eliminate tensions that affects your resonance, and you will also learn how to project. 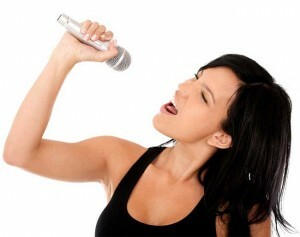 In addition you will be taught specific vocal exercises to improve your voice. However there are lots more features available and teach you about breath management, singing in high notes and more. According to slideshare.net the Superior Singing Method “will help expand your vocal range” and this is echoed by testimonials. Carol Denver of Oklahoma says the “lessons are perfect for improving my voice” and Arnold Gordon says “it improved my pitch and vocal range”. As these reviews show, a lot of people seem to have benefited from this program in many ways. If you are interested in ordering the Superior Signing Method you get a copy at their official website. The basic edition is priced at $97 and includes the Superior Singing method, and there is also a deluxe edition which is sold for less at $77. Besides the main program, the deluxe edition also includes the Superior High Notes which focuses on expanding your vocals; Superior Vocal Health and Superior Vibrato so you can develop vibrato. There is a 60 day satisfaction guarantee for both. Learning to sing with power and resonance is not easy and it takes time to develop, but the Superior Singing Method might be able to help. As the reviews and testimonials show, it is a comprehensive and detailed online vocal training system. I also like the fact that the program is aimed at both beginners and those who want to improve singing ability even more, so I recommend it. Hey thank you very much for this site and putting me on to Superior Singing Method. When I first took a look at the Superior Singing Method I was tempted to dismiss it as just another run of the mill vocal program. But I went in anyways on your recommendation. I am VERY happy I did! My power and resonance has improved tenfold. The most obvious benefit is that it is like you are getting the services of a real vocal coach, and you are since Anastasi is a real vocal coach. You are very welcome, we are working hard to make sure this site is up to date and got the best information for you to learn how to sing. So comments like these are highly appreciated. I have used the program for about 6 months now and I could not be happier. And as many reviews have indicated, the guides for working on your vocal tones are very comprehensive. Also, I have reviewed a lot of vocal training systems before I went all in with this one. In particular, I like the way that Anastasi’s in-depth coaching on how you can expand your vocal range like the pros. It is like it gets better and better the more you use it right? You cannot just repeat the modules over and over with a vocal coach. 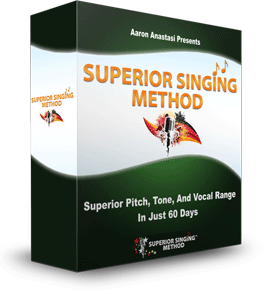 If you are looking to improve your power and resonance – Superior Singing methods is definitely the way to go. I am lightyears ahead of where I was just a year ago. I am very happy to hear about your success, it is wonderful when you start to see real results. I am not in the habit of giving away full recommendations to online vocal coaching programs since many of them are just ineffective, I refunded Singorama before I went on to this and I am so happy I did. So in light of that I have to make an exception for the Superior Singing Method. For once I have seen a product that actually lives up to the hype. The instructions in the modules are very easy to follow and I had no trouble accessing their website either which has even more tips. The bottom line is that the Superior Singing Method is a very good vocal coaching program, and for those who can’t or don’t want to hire a personal vocal coach this is the next best thing. I am happy you like it, and you are right – there are so many wannabe programs out there. I am also happy Aaron Anastasi put this program up. Do you need a real live vocal coach as well or will Superior Singing Method suffice? 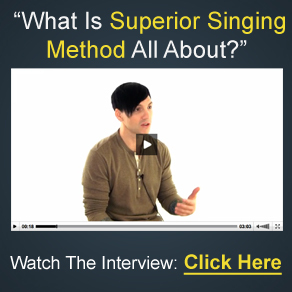 You do not need a live vocal coach with Superior Singing Method. Of course the more you do the more you gain so it will definitely not hurt. But you do not need it. My suggestion is, since this program is pretty inexpensive, go with it and then after a few months see how things are going and see if you have some issues you need help with. Then instead of learning from and paying the coach from scratch, you can just get help with the issues you are having trouble with.